In the plane back to New York, I got a message told that my father had collapsed. He had an emergency hospitalization, carried by an ambulance due to cerebral infarction. First of all, I hurried up to my home where my kids were waiting. I thought about the reality, when I could not go to see the face. This distance always make me frustrated at any time. My business trip to Japan was full of the schedule. It will take time to look back while organizing, content of plenty. Even without the time to meet, a friend who delivered the souvenir. A friend who awaited my gap time according to the destination. A friend who wanted to know our activities and offered to support us. A friend who came my destination saying she wanted to see me. I was sorry to everyone who was involved in the unilateral pace. I was sorry that I could not meet a person who wanted to take specific time unilaterally. 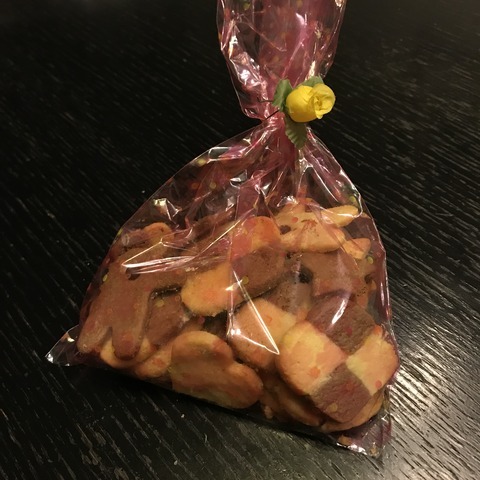 A classmate baked cookies as "a souvenir for children." I was glad about this kind of thought. Surrounded by a lot of love, I was full of appreciation. The extremely cold New York life is reality. It is severe reality.